The Dengue outbreak, which has Portmore, St. Catherine's community, in his grip, took Thursday evening political overtones when People's National Party-dominated Portmore Municipal Corporation (PMC) rejected $ 300,000 to $ 400,000, which has been awarded by the Ministry of Health to each council council to combat the outbreak. The news of the award, which will also see that every member of Parliament gets $ 800,000, was handed over to the PMC by the Chief Department of Health Ministry Sherine Huntley Jones. She spoke at a stakeholder meeting called by PMC to counter the detgue outbreak in the municipality. Thomas had a message to Tufton as he asked Huntley Jones to convey on his and her behalf: "Don't worry about transferring $ 300,000 to this division, we don't want it," Thomas said. 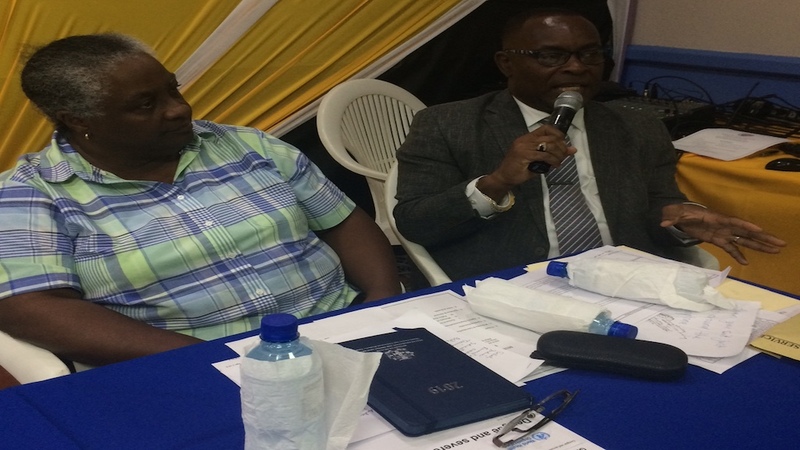 Chief Public Health Inspector for St. Catherine, Grayson Hutchinson (left) and chief entomologist at the Ministry of Health, Sherine Huntley Jones, at a degue stakeholder meeting in Portmore on Thursday. "If there are any plans to allocate any money we (already) have a plan. I have had discussions with the minister before on the phone and I told him about our plan. We have collaborated with the local health department and also the National Solid Waste Management Authority, so if any money comes at all or if there are plans to send money to the council, it must come to the Council we look at the situation and we will treat it accordingly "Thomas said. "When you give each councilor $ 300,000 or $ 400,000 that can only move three or four truckloads of large waste from the division and then you will say that councilors get money. We want to work with the plan and all 12 councilors in this municipality are part of what we are doing here, so we do not want the money to be split, "added Thomas. The mayor was supported by Fenley Douglas, adviser to the Waterford Division, one of the worst affected in the municipality. Things were heated when Douglas spoke and seemed to paralyze Minister Tufton for his handling of dengue outbreaks. Advisor Douglas agreed with Thomas that the money was not going to splinter. He then accused the Ministry of Health not being aware of the critically-hit PMC divisions. "This JLP, PNP thing can't work for us in Portmore," Douglas said. "I say this, without water in my mouth, that on behalf of Waterford's people who chose me to be here, we will not have $ 300,000. 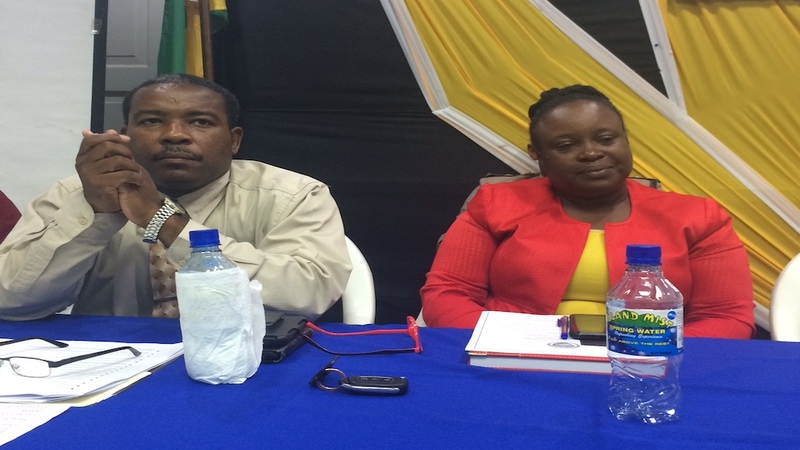 What we demand is that the minister should leave his chair and have a dialogue with Mayor of Portmore … and this parish council, "Douglas said. However, there was some unrest in the audience when he seemed to chastise the minister for politicizing the outbreak. According to Douglas, Tufton said on air that he had toured Portmore. But Douglas noted that there are 110 communities in Portmore and, according to him, the health minister used the lone JLP division that was affected by the outbreak. But there was noticeable push back from the audience, including from the JLP councilor for the Gregory Park division, Joy Brown. Huntley Jones also defended the minister as an official and forced Mayor Thomas to intervene and calm the situation as he appealed to the meeting not to become political. Meanwhile, Mayor Thomas, who had previously dealt with the meeting, had regretted that he had received little or no support from the Ministry of Health in the dengue fight. He said PMC had to resort to "own source funds", of which approx. DKK 2 million USD has already been used to, among other things, remove solid waste and to carry out shrubs in affected communities. PMC has also purchased mosquito nets and drums for water storage containers for distribution to residents. However, Thomas said PMC now needed another 7.2 million dollars to complete the program. And he was also sorry that both the health and education ministries refused his request to delay the school's opening in the municipality for two days at the beginning of the new school year to enable the premises to become foggy. This he would have prevented the current situation where some schools, including Portsmouth Primary, saw up to 10 students each day and presented dengue symptoms and were sent home. "Right now, we do not want any plan changes; $ 300,000 per Division cannot work. Schools alone (need more than that.) With the conditions that exist where the kids are in an extremely horrible situation, we must gather together, we need to pool our resources and look at the critical communities based on the recommendations of the Public Health Department and we move towards it … It (the award) cannot be a shared thing. "